These aren't your boring fruit-in-a-bowl kind of still lifes; artist Dina Belenko's photographs are bursting with color, enchantment, and delicious sweets and coffee. Belenko says she believes "photographing things means making portraits of their soul," and, in her world, souls are apparently joyous and full of wonder. Belenko sees the life in everything around her. A coffee cup becomes a magical device for the suspension of gravity. Cereal becomes the cosmos. 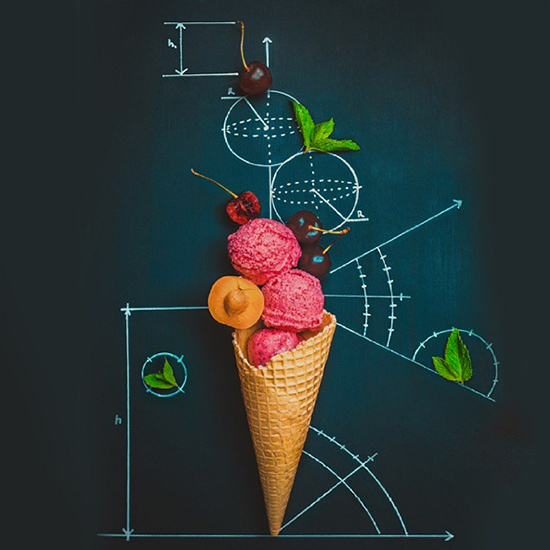 An ice cream cone becomes a representation of the symmetry of the universe. Belenko didn't always know she was going to pursue her photography professionally. She received a humanities education in publishing and editing. But she uses this training to bring life to her work; she learned both how to process an image and the value of a good story. As she says of her work, "I remember the moment when I got tired of taking pictures of friends and sunsets. And I tried to tell a story… Things can tell what they saw, who held them, who accidentally broke them, who lovingly gathered them in pieces and repaired them. In every thing there is a sense of human presence, something invisible but clear."